We are pleased to inform you that the 5th International Conference on User Science and Engineering 2018 (i-USEr 2018) will be held in Selangor, Malaysia from 28th-30th August 2018. i- USEr 2018 is organized by the Human Computer Interaction (HCI) Research Group, Faculty of Computer and Mathematical Sciences, Universiti Teknologi MARA (UiTM), Malaysia. i-USEr 2018 aims to address the main issues of concern within Human Computer Interaction with a particular emphasis on the aspects of design, development and implementation of interfaces and the generational implications for design of human and technology interaction. The growth of HCI field has traversed across disciplines and technological aspects encompassing elements that are both tangible and intangible. It’s hard to exclude HCI from domains of Informatics, Internet of Everywhere, Quality of Life and others, more so with diverse range of users and possibilities. The marriage between HCI and various application domains has resulted into a variety of user requirements, needs and experience, converting to ever-changing conditions. In retrospect, we explore challenges in designing diversity across different HCI domains. In line with these transformations, i-USEr 2018 chose “Traverse to Diverse” as the theme for this conference. [The last two of the four predictions for the coming year in this story from Fortune directly involve presence. More predictions are available from Gartner via Forbes and from designboom. Best wishes to all of us for a safe, healthy, productive and happy 2018! Hope to see you in Prague in May! 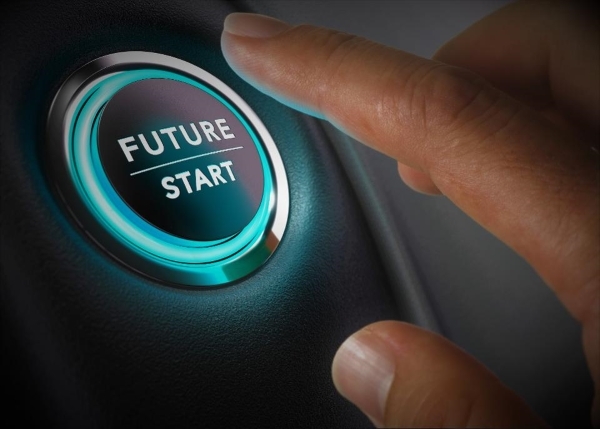 Predicting the future requires hubris, and it should therefore be met with more than a terabyte of skepticism. In past years, I’ve made some calls that have proved prescient like predicting way back in 2011 that social media would determine the U.S. presidential election. Meanwhile, some took decades longer than I had foreseen such as my 1992 prediction that this new thing called the Internet would lead Hollywood studios to merge with telecommunications companies. Over the years, I’ve learned that the best way to predict the future is to hang out with the people creating it. When you work with a top consultancy and have leading technology innovators as clients, it’s pretty easy to recognize trends that have the greatest potential impact. Call for papers for a special issue on Natural Language Generation (NLG) for Spoken Dialogue Systems (SDS) to be published as part of the Dialogue & Discourse journal. Language generation for dialogue requires sophistication in modeling the context of the dialogue, as well as methods that are sensitive to the rhetorical structure of a turn, and to the requirement that turns in dialogue are typically incremental and structured as oral, rather than written language. We therefore especially invite submissions which address these gaps, whether by introducing novel statistical or neural approaches or by leveraging data to improve natural language generation for dialogue using a more traditional architecture. Dialogue and Discourse (D&D) is the first peer-reviewed free open access journal dedicated exclusively to work that deals with language “beyond the sentence”. The journal adopts an interdisciplinary perspective, accepting work from Linguistics, Computer Science, Psychology, Sociology, Philosophy, and other associated fields with an interest in formally, technically, empirically or experimentally rigorous approaches. We are committed to ensuring the highest editorial standards and rigorous peer-review of all submissions, while granting open access to all interested readers. As of April 2017, D&D has published 57 papers, and the journal’s h-index is 16. D&D is endorsed by SIGdial, SemDial, and AMLaP. D&D is indexed by Scopus and the European Reference Index for the Humanities and Social Sciences. The International Conference on the Foundations of Digital Games (FDG) is a major international event. It seeks to promote the exchange of information concerning the foundations of digital games, technology used to develop digital games, and the study of digital games and their design, broadly construed. The goal of the conference is the advancement of the study of digital games, including but not limited to new game technologies, critical analysis, innovative designs, theories on play, empirical studies, and data analysis. 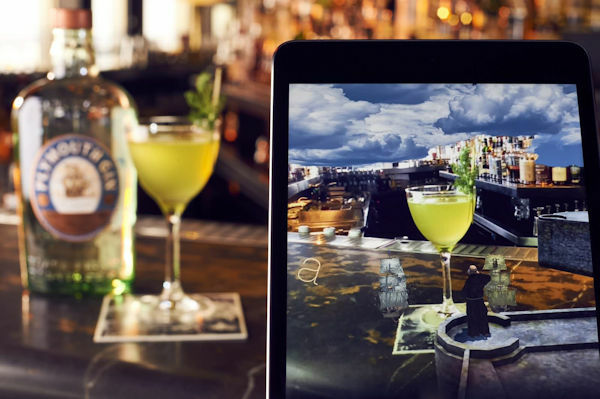 Augmented reality content can be found on everything from wine bottles to IKEA’s catalog and virtual reality experiences are much more detailed, with rich layers of interactivity from hand controllers to gaze triggers, and a VR film has even won an Oscar. With Apple and Google both debuting augmented reality platforms (ARKit and ARCore, respectively), Facebook heavily invested in its Oculus headset and Amazon unveiling augmented shopping features, AR and VR is primed to change many parts of our everyday lives. The 11th PErvasive Technologies Related to Assistive Environments (PETRA) conference is a highly interdisciplinary conference that focuses on computational and engineering approaches to improve the quality of life and enhance human performance in a wide range of settings, in the workplace, at home, in public spaces, urban environments, and other. Outcomes of this conference have a broad impact in application areas that include, manufacturing, transportation, healthcare, energy systems, security and safety, robotics, biomedicine, environment and conservation, and many others. Please visit www.petrae.org for more information. 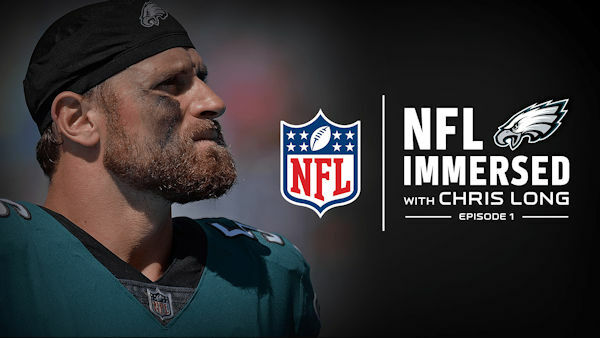 The first three episodes of the second season are now available, and they follow Philadelphia Eagles defensive end Chris Long and his work both on and off the field. It is well known that videogames represent the driving sector of the current entertainment with an excepted business of 90 billion dollars in 2016 (NewZoo 2015). Furthermore, the supporting technology is often at the cutting edge (e.g., Oculus Rift, Microsoft Hololens, PlayStation VR) and constantly in progress (e.g., social games, cloud gaming, holograms). Along with such a rising popularization, sectorial trends and orientations are getting more and more articulated going beyond the mere escapism: serious games, newsgames, and persuasive games (e.g., Bogost, 2011; Djaouti et al., 2011) are now well-established genres that are able to deal with a remarkable range of issues. The educational and pro-active implications of the medium are noteworthy as well and different fields and disciplines are increasingly applying them toward a multitude of audiences and issues (Ferdig, 2014; Gee, 2007). Moreover, phenomena like the reaction to Gamergate scandals are glaring signals that the game industry is embracing a turning point in terms of representation and equal opportunities. To summarize, it can be argued that the sector is now more different and diversified than in the past. Nevertheless, special needs still foster blurry reflections and engender discontinuous efforts in video game landscapes. With this broad term, the reference is to physical, cognitive and even socio-cultural conditions than require specific interventions in everyday life routines, learning activities, general accessibility (etc.). Eligible factors vary from mental retardation and sight/hearing impairments to racial background and age. A contiguous and more defined concept is Special Education, which means “specially designed instruction, at no cost to the parents, to meet the unique needs of a child with a disability” (20 U.S.C. 1401(29)) (for more information about related media implementation see Fage et al., 2014; Kagohara et al., 2013). The implication of embracing special needs in digital entertainment points to usability, engagement and representation in design, production and final consumption. In addition, it might trigger an instrumental perspective in exploiting videogames to improve the state of individuals with disabilities/suffering biases (e.g., ludic experiences that enrich autonomy and social skills) and empowering their participation, which is a fundamental human right (UNICEF, 1990). Unsurprisingly, supportive and communicative efforts of foundations like AbleGamers Charity and Special Effect are increasing all around the world as well as the attention given by academy (e.g., EPINOIS R&D project, Games for Health conferences) and majors (e.g., Activision-Blizzard, Microsoft, Sony) to the assistive potential of the medium. Scholars and researchers are increasingly addressing the topic (Carr, 2014; Champlin, 2014; Ledder, 2015) and exploring on how special needs can benefit from the medium (e.g., Anthony et al., 2012; Nardi & Lim, 2011; Powers et al., 2015; Saridaki, Gouscos & Meimaris, 2009; Yuan, Folmer, & Harris, 2011).Finally, development guidelines have been proposed (as the ones suggested by Universally Accessible Games, Serious Games Initiative, IGDA game accessibility interest group, and International Game Developers Association) and specific titles explicitly addressed the topic (e.g., Drospy, Oddworld: Abe’s Oddysee, If…). conversely, what suggestions and insights special needs-related expertise, professionals and involved audiences can provide to game industry as sources of diversity, inclusion and accessibility. In light of these questions, the special issue Digital Entertainment for Special Needs, Special Needs for Digital Entertainment aims to stimulate both theoretical and empirical outcomes aimed to enlighten the relation between special needs and video games. Contributions from Game Studies, Media Studies, Disability Studies, HCI field, Science and Technology Studies, Psychology and Sociology (and so on) are welcome along with pieces by educators, developers and stakeholders dealing with such a potential interplay. Accordingly, this thematic call also seeks risky and game-changer proposals in order to frame and even suggest future moves in multiple directions, from design stimuli to therapeutic applications. Therefore, implications aim to be significant for a wide range of audiences including scholars, researchers, practitioners and caregivers. The final objective is to outline a coherent and multi-angle overview of the topic and take a step forward for supporting a pro-active synergy between digital games and special needs. There was no one home when Avisheh Madani arrived to tour a San Francisco rental property. No one human, that is. Madani, 35, used a code from an app to unlock the door and was greeted immediately by a robot. “It was definitely weird,” she said. 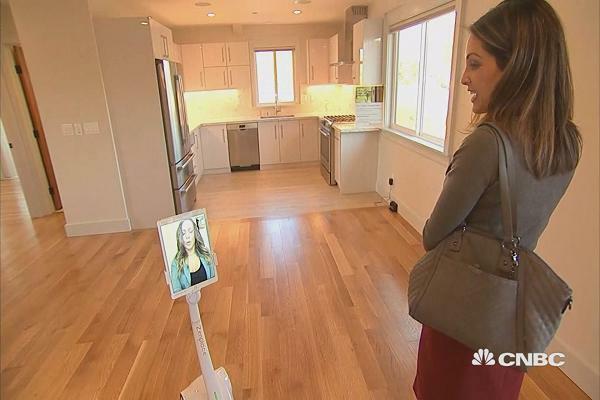 The robot, really a moveable video monitor, is the brainchild of Zenplace, a rental management company based in San Francisco and expanding quickly across the nation. The company developed the software itself, which doesn’t look like a classic robot, although it does have a face: the real face of the rental agent. Essentially it’s a roving screen showing a live person in another location.